Personalized marketing is rapidly becoming one of the most powerful trends in the online world. With personalized marketing, you have amazing opportunities to start building strong relations with your prospects – seemingly, before you even know anything about them. Some aspects of personalized marketing are so clever, they can seem like magic to the untrained Web visitor. Of course, we know what they say about advanced technology and magic! There’s no wizardry involved in personalized marketing, but some of its benefits will make you feel like a marketing Merlin. 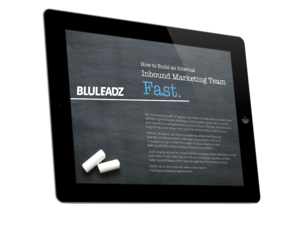 Here at BluLeadz, we’ve seen companies of all sizes and industries capture amazing benefits from adding a touch of personalization to their strategy. It takes a lot of work to craft your “top of the funnel” content so it doesn’t sound like a casting call – directed to just about everyone who checks a few demographic boxes. With personalized marketing, you start a relationship on the right foot by showing immediate understanding of your Web visitors. That makes them far more likely to get on your radar as prospects. The right degree of personalization at the right time makes prospects feel that you really “get” them. If you continue deploying personalization throughout their relationship with you, they are that much more likely to see you as a trusted partner in reaching their goals. Every landing page and offer you build is focused on your ideal prospects and customers, of course – but personalization is where the rubber meets the road. To personalize an offer, for example, you may need to build eight slight variations versions of a page. It’s an effort, but the precision and control you get will help you micro-target and raise lifetime customer value. Remember not too long ago when businesses rushed to launch “live chat” widgets throughout their sites, touting them as the best thing since social media? No matter what neat features you have, they’ll only help you if people engage. Marketing personalization means your content matters more to each user, making them more likely to indulge their curiosity and send their thoughts. We all know people are much more likely to spread bad news than good news: It goes viral and can end up being shared all over the world. To inspire people to share something they liked about your site, it needs to hit close to home – so they know their “in-group” will appreciate it, too. That’s exactly what marketing personalization can achieve for your content. Many B2B sales suffer long cycles by default – those are consensus sales that call for everybody and their cat to sign off. But, for small biz and B2C, don’t underestimate the power of buyer enthusiasm to shorten the journey – and save time, attention, and money. When your collateral is personalized, it’s much more likely to create that spark than “one size fits all” materials. Think fast: What’s your site’s bounce rate? You probably don’t know it offhand, but you should know this: It represents prospects you’ll never hear from again. PPC advertising campaigns often have high bounce rates, as prospects aren’t really motivated to buy right away. Marketing personalization can help ensure they see something that will get them on your list before they go. No matter how great your content is, it’s of no use unless people are reading it, watching it, and sharing it. Content can be inexpensive, but unused content is pure overhead. Done right, your personalized marketing provides users with a compelling sense your content recommendations are truly “just for them,” making it more likely they’ll explore the far corners of your ecosystem. Personalized marketing is part of a greater trend toward simulating interesting, engaging, one-to-one interactions with customers. For example, new mobile technologies are providing ultra-targeted offers to people on the go based on their precise location – proximity marketing. Sophisticated “bots” are evolving from the standard chat widget. Using advanced AI, they are packed with information and provide an extra bit of fun and branding for users ... while, of course, facilitating sales on the spot. Personalization is the next wave for online business – and personalized marketing through your website is both the easiest and the most powerful way to get involved. 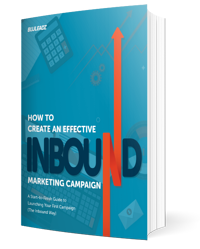 Download Our Free Ebook to Learn How to Create an Effective Inbound Marketing Campaign!